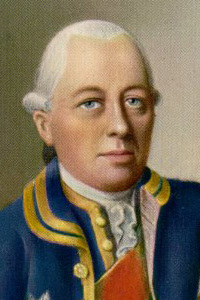 Karl Gotthelf Hund, Baron von Hund und Alten-Grotkau founded the Rite of Strict Observance in 1751, and promoted the idea of a Knights Templar lineage for Freemasonry. At the age of twenty he was chamberlain to the Elector of Cologne, and subsequently chamberlain to the Elector of Saxony, a Councillor of State and an adviser to the Habsburg Emperor. He was neither a charlatan nor a fantasist, for he did not profit from his promotion of the Ritemuch the contrarynor did he embroider what little information was given him. Like the Chevalier Ramsay, Baron von Hund was linked with the exiled Scottish 'court' surrounding Charles Edward Stuart, through which, he claimed, he had been initiated into a Templar Masonic Order in 1742. The French writer Jean Ursin writes in Création et histoire du Rite Écossais Rectifié (1993): "There is a debate over whether or not he made a voyage to England, or if it was in Paris that he was received into a Templar Chapter, in the presence of Lord Kilmarnock, by a mysterious knight of the red feather, Eques a Penna Rubra; he had the intimate conviction that it was the Stuart Pretender, Charles Edward, and that he had received from Unknown Superiors the mission to reform, to Rectify, Freemasonry." He did not assume the position of Provincial Grand Master until circa 1750, upon Marschall von Bieberstein's death. He, Schmidt and Von Tanner of Bieberstein's Naumberg Lodge are presumed to have arranged the rituals and other details. His friend Von Springseisen claimed that Hund received the three degrees on 20 March 1742 in Union Lodge, Frankfurt but this has been disproven by Georg Kloss. He is assumed to have been initiated by an unchartered lodge then operating in Frankfurt. On 20 February 1743, as Worshipful Master, he consecrated a new lodge in Paris. Source: Robert Freke Gould, History of Freemasonry. vol. v, pp. 99 - 113. Cf.Albert G. Mackey Encyclopedia of Freemasonry: Hund's death noted as 8 November, 1776.